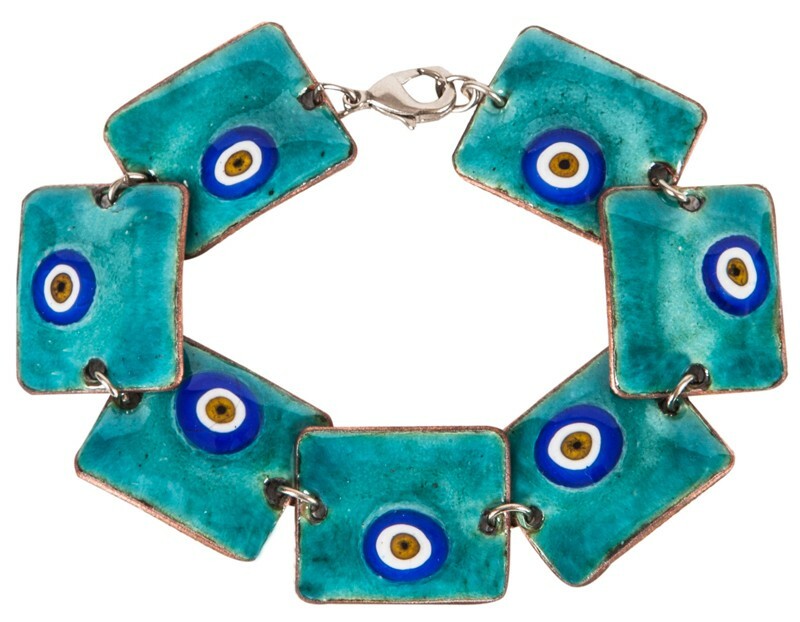 Turquoise evil eye enamel bracelet made on copper was designed and hand made by the artists of Atelye Turkuvaz. 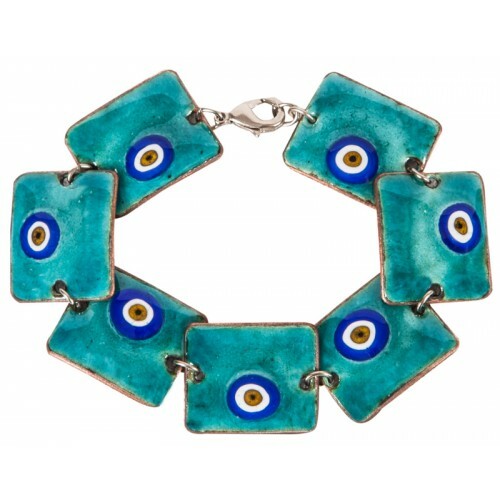 Material: Copper with a width of 0,65 - 1,5, 999,9 silver and enamel, 7 square pieces. 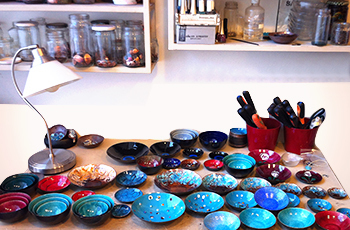 The enamel consists of the combination of various oxides, glass dust, gold dust, platinum dust and various chemical substances. For each colour the product is heated in different ovens with a temperature of 790°- 970°C.